In today’s digital age, it’s hard to imagine that a small business serious about growth, profitability, and survival operating without a website. Yet, an eye-popping 45% of entrepreneurs report they do not have a business website, according to a CNBC/SurveyMonkey small business survey. Instead, many of the small business owners surveyed contend that they rely on word of mouth to communicate news to customers. But, just relying on that channel to reach new and existing customers can prove to be not enough when it comes to generating fresh business and cultivating new sales activity, experts warn. They say websites can provide multiple ways to help a firm just focusing on word-of-mouth referrals. Experts add a huge reason why small businesses without websites should consider getting one is that they are likely losing customers and revenue to rivals and other companies that do have them. Industry observers add having a website increases the capability of business to convey its message, boost brand recognition, and generate sales they might not otherwise get from internet users. However, many entrepreneurs who haven’t invested in an online presence say they do not have enough time to devote to maintaining a web site and supporting such functions as online advertising or social media. A survey from Clutch showed that 29% of small business owners operate their business without a website. The ratings and review firm reported some business owners contend that they may never have one. Yet the survey also revealed that 71% of small businesses recognize the importance of a digital presence and have created a website. Over half of small businesses surveyed launched their website before 2016, and another 16% launched in 2016 alone. Some 92% of small businesses predict that they will have a website by the end of 2018. Clutch reports that statistic illustrates the majority of small businesses recognize the value of a website and are at least aware of the missed opportunity of not having one. Individuals just expect businesses to have a website. In fact, company websites attract more consumers than social media when it comes to product and brand information, according to a survey by WP Engine. That factor alone could be a compelling reason to consider a website. A website allows customers to view information perpetually. Even when your business is closed for the day, potential and existing customers can see what products and services you offer. It can serve as a digital storefront and marketing tool as your site gains access to searches by internet users. 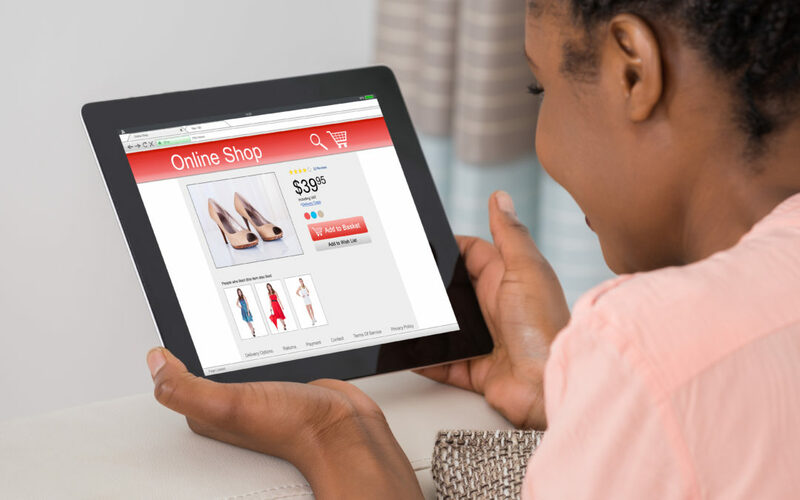 A website provides you the option to sell products and services directly to customers, providing them more convenience to make purchases on their terms. A site can help you reach customers regionally, statewide, nationally, and even globally if it has the ability to ship products beyond your local area. A website can help enhance your firm’s validity as a legitimate business. A 2015 study by Verisign reported that 84% of consumers believe small businesses with websites are more credible than those with no online presence. That presence can be a plus when rivals are aiming to take away customers. If you don’t have a set clientele, a website can help bring new customers who may not know your business exists. Some 97% of consumers search online for products and services, according to a Google survey. Consider that your site may pop up among their searches. Plus, you have the option to optimize your site with search terms tied to your industry, increasing your exposure to new customers. Individuals can use a website to type their email into a box on the website. They may even be more inclined to do so if there is an option for them to get a newsletter, notices on special promotions, and other news they can use. The information also provides another channel for you to reach possible customers. As of October 2016, more people accessed the web via mobile devices like smartphones and tablets than they did from desktops or notebooks, reports StatCounter. Some 51.3% of all web visits during that month came from mobile devices versus 48.7% of visits from traditional computing platforms. The statistic is significant because it marked the first time ever mobile internet usage exceeded desktop usage. Market research firm Forrester Research reports that over $1.5 trillion of total U.S. retail sales are web-impacted. Further, Forrester predicts that online sales will exceed $500 billion by 2020, up from $373 billion in 2016. Those numbers alone potentially offer a vast market for small businesses with websites.